Repeated analysis shows that the majority of shoppers who add items to their cart on your site won’t actually buy. One study across 500 leading brands puts the cart abandonment rate at 75%. 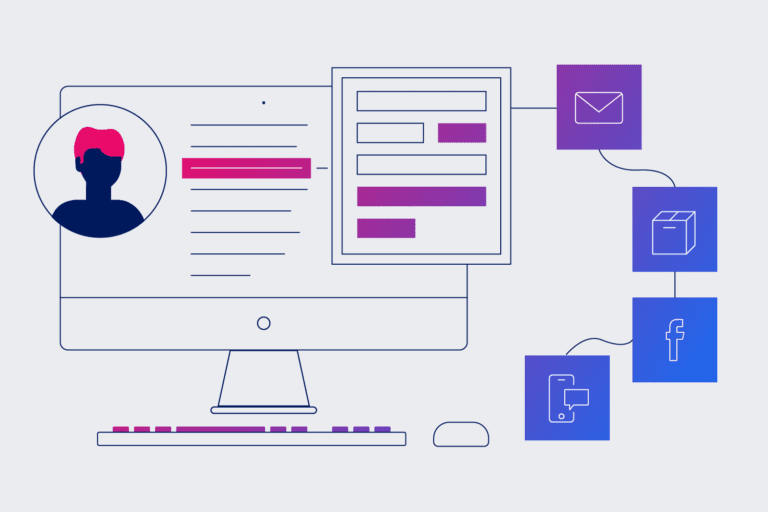 It’s no secret that implementing a cart abandonment campaign recovers some of that otherwise lost revenue—up to 60% of messages can result in a purchase within 24 hours of deployment. However, to get the most from your cart abandonment campaign, here are five critical mistakes to avoid. Many brands don’t send cart abandonment emails. Sometimes this is for technical reasons: they don’t have the capability to send them. Others don’t send them because they are worried they’ll annoy customers or simply don’t think they will work. The argument is that people will return anyway if they want to buy. Why does a cart abandonment email help? Some carts are not abandoned, they are snoozing. An email is not needed to get recovery. The natural recovery rate and true incremental revenue vary between brands. To find out how much incremental revenue you’re getting, perform a holdout test. 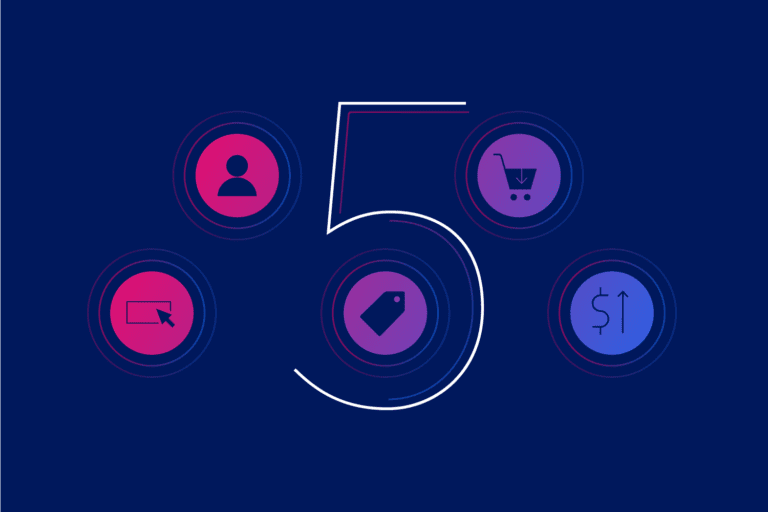 Suppress 50% of the cart abandoners from getting an email and compare the revenue of the holdout group to the group who get an abandonment email. Don’t forget to check statistical significance of a holdout. You’ll need to send enough cart abandonment messages to get a true measure of impact. In holdouts I’ve run I’ve seen a true incremental revenue in most cases. 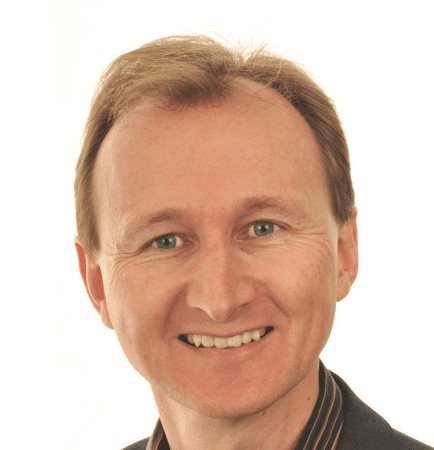 MoneySavingExpert sends tips out by email (of course) to 12 million subscribers. Their advice to consumers is to abandon baskets to score a discount. Barclays Bank ran TV adverts a couple of years back telling people to how to save money online by leaving items in their cart. That brands send emails to follow up on carts and that these might have a discount is common knowledge. You may be better off just sending a helpful email and not including a discount. If you really must include a discount then consider making it more intelligent. Remember the cart may not be fully abandoned—it could be just snoozing. Vary the incentive based on cart value. Free shipping or dollar-off discount on high value, percent-off discount on low value. And remember, when you use a discount, be clear on how you evaluate success. If you convert 10% more customers by adding a 15% discount, you’re likely making less profit than not having a discount at all. Taking the case of average order value of $100 and gross profit margin of $35. If without a discount, 200 shoppers convert per week through a cart abandonment campaign, then the recovered revenue is $20,000 and the gross profit is $7,000. With a 15% discount, 220 shoppers convert. Given a higher revenue of $22,000, but a lower gross profit, ($35-$15) * 220 = $4,400. In this example, the discount makes less money overall for the business. A typical first abandonment email is sent around 45 minutes after the abandon event. Its job is to get already engaged visitors back to the site. This is not an email that needs to explain a new proposition; it should be clean and simple, without distractions. Google Express has one of the simplest cart abandonment emails. Google Express adds an app install as a secondary CTA. The header area is minimal and the call to action to return to checkout comes after just 12 words of copy. 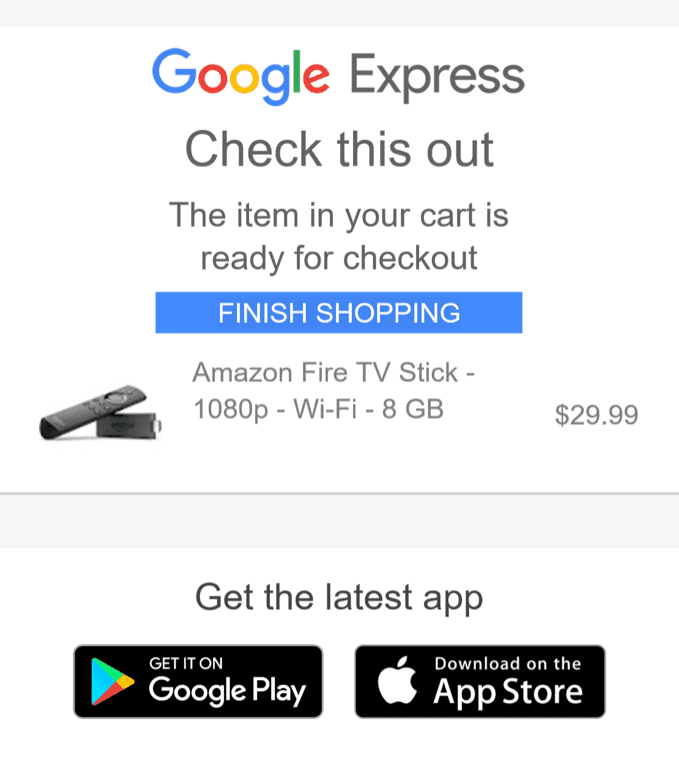 The only distraction from clicking back to the checkout is to get the Google Express app. This makes sense, as getting their app install is a big win in customer retention. Google Express is happy to potentially forego the cart recovery in return for an app install. Though not as clean as Google Express, Amazon keeps it simple too. Amazon’s sponsored content distracts from recovering abandoned carts. The biggest distractions are the two sponsored product panels. 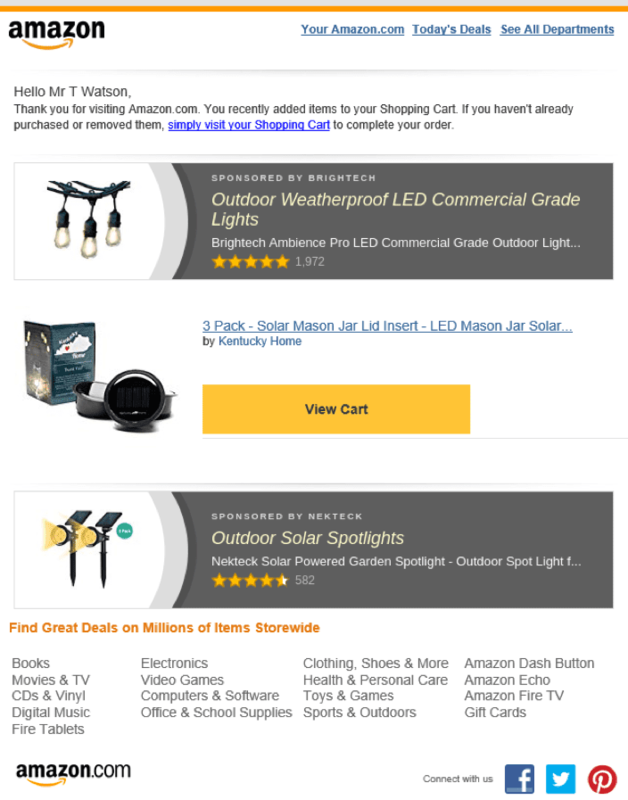 Amazon just couldn’t resist further monetizing the abandonment email! Amazon has one big difference to many retailers: the brand doesn’t include item price in their message. This is unlikely to be an accidental omission on their part. Amazon is well known for their strong testing culture. If they leave out price it’s because they have tested it and know that for their customers it converts higher. Including price might just be too much focus on the painful bit—spending money. It starts a conversation in the consumer’s head about whether they are happy with the price. A simple focus on the product gets someone to the website before that question comes up. These emails are not like broadcast promotional emails where price may need to be used as a motivation to click. For abandoned products they were already selected, so the price is probably acceptable. Do like Amazon and test to determine what’s best for your buyers. In many ways optimizing automated emails is easier than optimizing broadcast campaigns because the same creative is being used continuously. That makes implementing the findings of a split test very easy. If you are sending 500+ abandonment emails per week, then you’ve got enough volume to start running split tests to improve the emails. It doesn’t need to just be about the email design and copy. 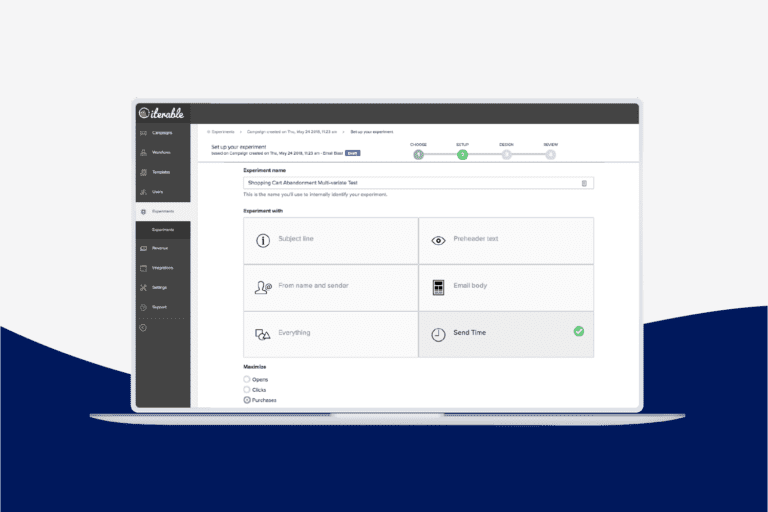 Split test the timing and number of emails in an abandon sequence too. Cart abandonment emails have a high value because the visitor is highly qualified. They showed a strong interest in purchasing. But that’s not the only process that indicates strong interest in your offer and could be abandoned. Any type of process that involves multiple steps can be abandoned. I’ve used abandon emails in all of the above categories and seen good results. Take a look at this website browse abandonment example.